The Pierre de Lune Max 10 is a 500g. 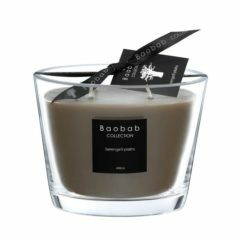 hand poured, scented candle of the highest quality with an average burning time of 60 hours. This Baobab Pierre de Lune scented candle is presented in a 10cm high glass vase. 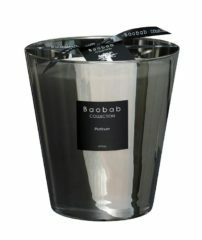 This Moonstone or Pierre de Lune scented candle is part of the Les Prestigieuses collection by Baobab. In India, moonstone is regarded as ‘dreamstone’ because it brings the wearer beautiful visions at night. 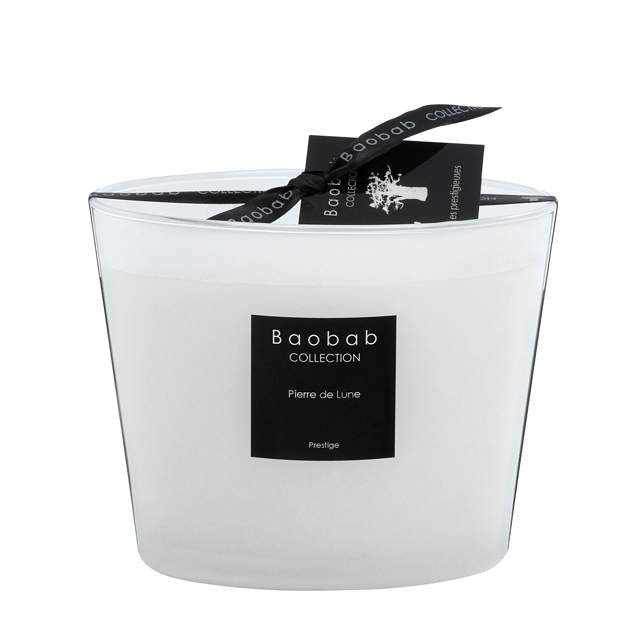 This scented candle is presented in a stunning white opaque glass vase and has a delicate fragrance of white tea and frozen mint, a deliciously sweet yet light air.